Dubai as a seaside port town and effective center for business activities, needs to transport goods and has always had a highly developed water transportation system. 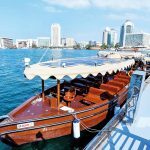 UAE water transportation includes water taxi, waterbus, dhows offering cruises and yacht rentals. 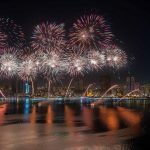 So do not miss to see and experience the water-life of Dubai. If you want to escape the city’s traffic in style, taking the Dubai Water Taxi is the ideal choice. Travel to any of the 43 stations located all around the city while you enjoy the sweeping skyline views and get up-close to landmarks. Abras are traditional means of water transport in the United Arab Emirates, considered as one of the oldest modes of transportation. Enjoy across Dubai Creek sides, linking by that Deira and Bur Dubai areas, for an affordable fare. Abra operation times are from 5 AM till 12 midnight, while Abra Route 2 runs 24hour a day. Route 3 Alshandqa , lghubaiba , Alfehadi – Vice Versa. 3 pm to 11 1 Dhs Per Passenger per trip , fare collection made aboard by the Abra operator. 60 Dhs for the full boat for 30 minutes ride. Hours of Operation : Working Hours: 5:45 pm – 11:30 pm. Ticket Price: 65 Dhs per person. Where to purchase the tickets? Tickets available at The Dubai Fountain Lake Ride kiosk located at the Fountain Promenade and the At the Top, Burj Khalifa ticket counter. 4:00 pm – 12:00 pm. 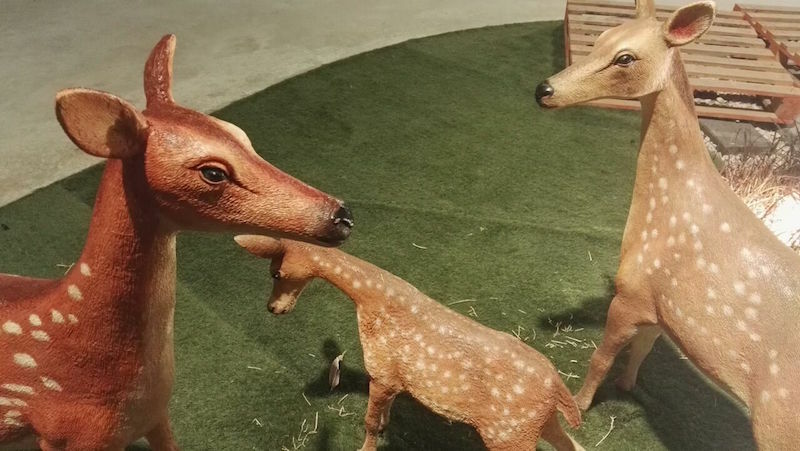 1:00 pm – 9:00 pm. Rowing Abra’s, manually rows-operated boats equipped with Asphalt-pitched side layers. The Waterbus is a highly advanced and modern water transit service providing luxury, comfort and further destinations to its passengers. 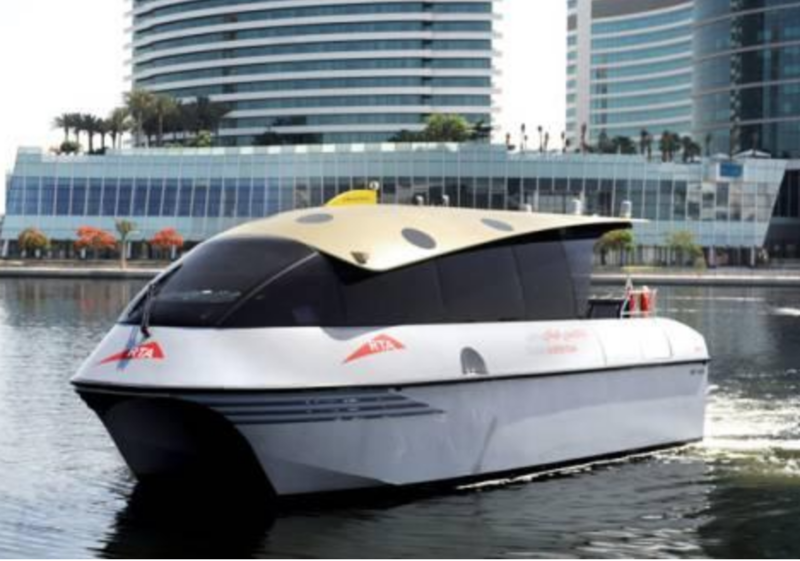 One-Day Ticket for Water Bus Service at Dubai Marina is available. Click here to find out more. Water Taxi is a luxury marine transport option. The Water Taxi will come to the station nearest to your location to ferry you across Dubai Creek and waterways anywhere you might wish. Dial the toll-free number 8009090 for booking a water taxi in Dubai. You can pay in cash or credit cards, fare collection made by the Water Taxi operator. The following table “Click Here” shows the cost of mobility between the Water Taxi stations. 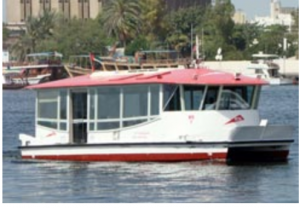 You can hire the Water Taxi at a rate of 400 dirham per hour in the route of your choice. It is now possible for Water Taxi riders to log on to RTA’s portal at any time, follow simple & short steps to book rides on the Water Taxi at the time they wish, for more details please click here. 50% discount for the above ticket for children between 2 – 10 years.